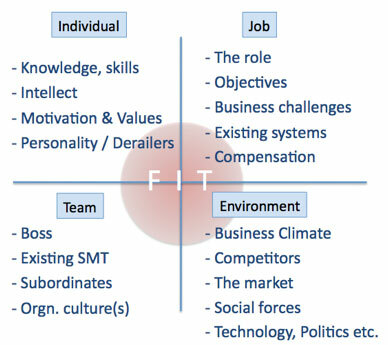 How do you get the best fit between the person and the job? We get an in-depth understanding of the role and its demands by interviewing relevant people within the client’s organisation. We conduct a semi-structured interview or series of interviews with the individual covering their career, current role, view of their organisation, and hopes for their future. We may also ask the individual to complete some psychometric questionnaires, make a presentation, or participate in a role-play. Depending on the need, interviewing can be done by telephone or face-to-face. In some circumstances, we interview people who know the individual well as colleagues for their perspective. Our aim is to collect as much data as is practical and necessary to form a complete and comprehensive picture. We analyse the data we have gathered in order to understand where the individual is in terms of his or her development, intellectually, emotionally, and behaviourally. We prepare a report about the individual describing them in terms of their intellectual, interpersonal and emotional characteristics and how these impact on their management style. We discuss the report and its implications with our client so as to enable them to make a balanced judgement about the individual’s strengths and weakness and potential for success in the position. "A round man cannot be expected to fit in a square hole right away. He must have time to modify his shape"